Below you will find the information to get started. Even if you have not joined the Tenno already playing Warframe you can participate. Bring your best blades, heaviest hammers and most stylish helmets and you will get more than a sack of platinum for your effort. This is a 3D modeling & texturing contest for the Steam Workshop of Warframe from Digital Extremes. The winners will be announced the week after the contest concludes and then available on Steam with the next Tenno Reinforcements. For the Warframe : Polycount Contest, participants will create fully modeled & textured, original alt helmets and weapon model swaps for sale in Warframe. You are allowed to submit as many times and in as many categories as you can in the time allotted. 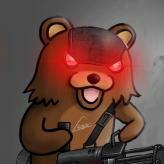 You must make your item for the contest, and not re-use assets you may have previously created. Exception: If you have already started a character alternate skin you may be able to integrate that with your alt helmet design..
Avoid contemporary references, pop culture, and 'meta' humour. While we have fun with this during holiday times your goal should be something that fits with the Warframe universe all year round. Your entry cannot contain elements from copyrighted works, reference to other IP’s, or make use of any images or material that you do not own. 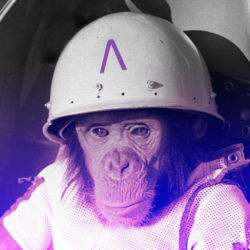 You may team up with as many artists/concept artists as you like for this contest. If you do team up with others please pay special attention to the submitting guideline noted below! Prizes will be given to the person who submitted it to the workshop, and it will be their responsibility to divide the prizes amongst contributors. You must register on Steam and Polycount to enter this contest. You must create and maintain a Work-In-Progress (WIP) thread at Polycount for your entry in the Warframe forum. If you enter in multiple categories you must have multiple threads for each entry and each will be separate on the Workshop. All submissions to the Steam Workshop for this contest must be final. 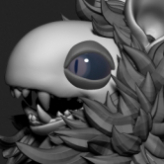 Use your WIP thread on Polycount to show your work-in-progress. Every Warframe Workshop item has a standard set of requirements to meet, below is a quick list of those requirements, but before you begin your entry make sure that you read the entire Warframe Tennogen Guidelines here. Each item has geometry and texture limits and the allowable triangle counts and texture sizes vary per item. These are hard limits, so please check your work before submitting. Your final workshop upload must include FBX for models and .PNG files and will be uploaded through the Warframe Tennogen Tool. 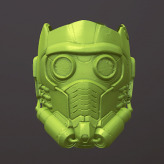 Each item must have a tintmask, diffuse, metalness, roughness, emissive and normal map. The Alt Helmets will be designed for our three starter Warframes, these characters have distinct looks, and powers for you to find a niche that fits. This is Excalibur, a master of gun and blade. 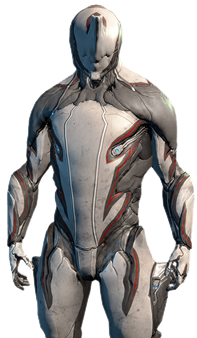 No matter your style, Tenno, the Excalibur Warframe is a formidable choice. 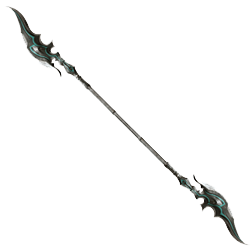 Excalibur is a sword-themed Warframe. 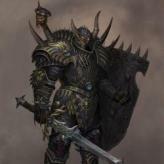 With the power to channel energy into his summoned blade, he is a mobile swordsman with potent methods of execution. 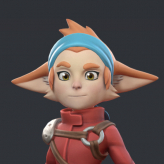 This is Mag, a force to be reckoned with. 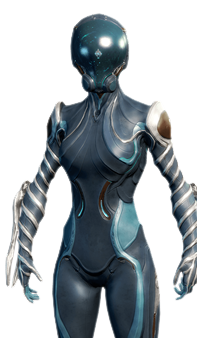 Mag is a team player, Tenno, and a worthy addition to any squad. 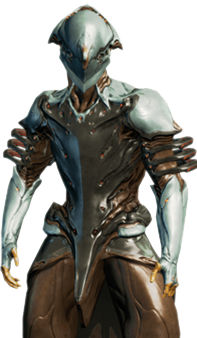 Mag is a Warframe based on magnetic force. 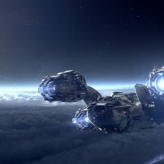 She boasts high shield strength in exchange for reduced suit integrity and average power capacity. Her abilities make her a potent medium for crowd control. We have gathered a few of our most popular weapons to allow you to try your hand at building alternate models for them. They must have the same scale and the “business end” pointing in the right direction, but you otherwise have creative freedom. 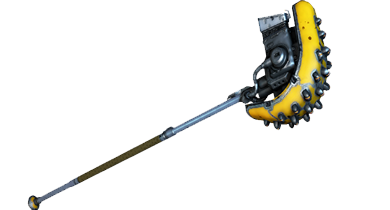 The Skana could be reskinned to be a Corpus energy sword and the Jat Kittag could be an Infested abomination. See the Model-Swap guide here. 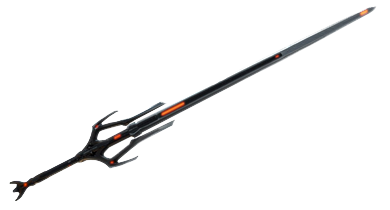 Before all other weapons, Tenno master the Skana. This simple blade becomes immensely powerful in the hands of a master. 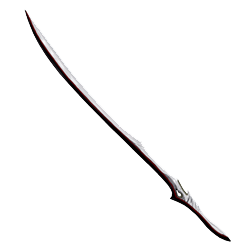 For Tenno, it is the foundation of their fighting style and a pillar of their culture. 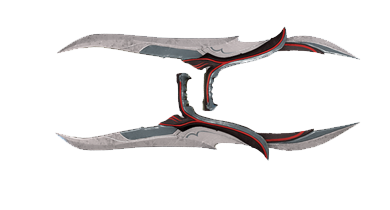 With massive charged power and the ability to hit up to five foes in a single swing, the Galatine sword is the heavy artillery of melee weapons. The Kronen resurrects a lethal fighting style once thought lost to the ages. Creating your contest entry happens in three steps: Content creation, presentation, and submitting for final judging. If you haven’t already, sign up for a Steam account. This will be required when it comes time to submit as you’ll be submitting to the Steam Workshop via the Warframe Workshop Tool. Sign up at Polycount. If you’re in to 3D modeling or texturing for video games, you’ll like it here at Polycount – promise! We have 75k+ members with virtually every video game studio’s talent represented in some way shape or form within our forum. Update your WIP thread as often as possible! Documenting your progress is very important and will not only motivate you to finish, but it will allow the community to offer words of wisdom. It will also show the guys & gals at DE that you made your entry for this contest and aren’t reusing an old piece to cash in. Any and all decisions on this matter will be decided by Digital Extremes. 1 thread per workshop item. Any submissions being worked on by multiple artists must be posted to 1 WIP thread. Do not create 1 thread per artist on a team. Presentation materials as detailed below should be posted to FINAL SUBMISSION THREAD. This image must contain at least 2 shots of your workshop item from different angles. Post effects from 3d software or 2d programs like Photoshop are NOT allowed in this image. The only adjustments allowed are: Brightness/Contrast, Levels, Sharpness, and Hue/Saturation. This image should also contain your images of high poly model and your low poly with wireframe. Any concept art, preliminary sketches, reference images, etc. Submission guidelines & instructions are found here. 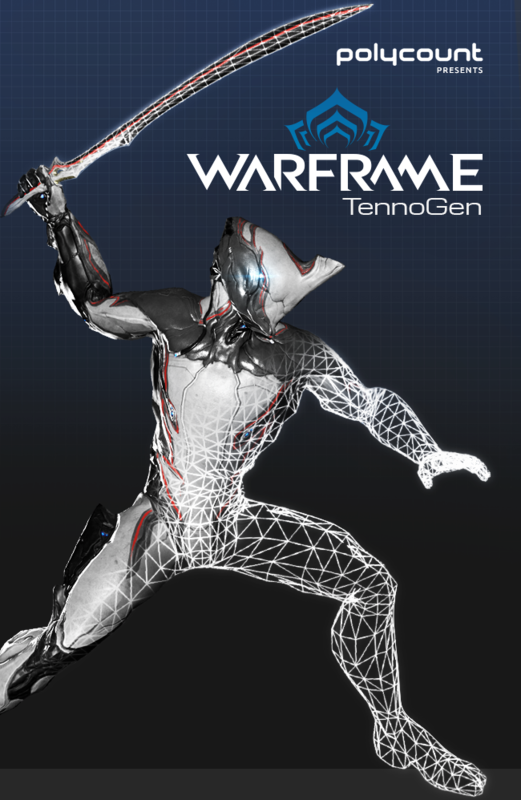 Download the Warframe Tennogen Tool from Steam. You will use it to preview, upload and submit your entry. Your submission through the Workshop will include the tag ‘Polycount Warframe Contest’. If this is absent your entry will not be considered for the contest. 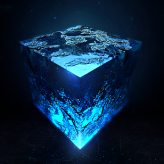 Your submission includes the link to your Polycount Forum thread for this contest. Please add this to the description of your item. 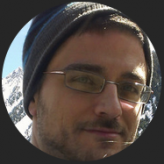 Your final workshop upload must include your FBX for models, PNGs for textures and the Warframe Workshop Tool will guide you through their upload. Via the Workshop Steam page, you elect the Steam accounts of the people you teamed with for your entry and will portion the % of royalty they will receive from your winning entries earnings. This is not changeable afterwards. Make sure all involved know what they are potentially receiving ahead of time. 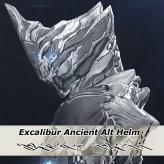 Up to 3 Excalibur Alternate Helmets! Up to 3 Mag Alternate Helmets! Up to 3 Volt Alternate Helmets! Each winner will have their items placed in the WARFRAME store and will receive royalty payments from their items. As an example on how well that works, here is an interview on Gamasutra with Valve and the winners of the Polycount Pack TF2 Contest. Guarantee of $500 worth of Shared Revenue in the first 3 months of content being on the Market! A Polycount trophy for every winner - that's up to 14 trophies to be won! I missed the Retrorgasm Contest, but this ... This will be done! Words cannot describe how excited I am for this one! 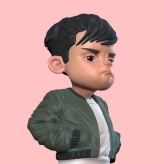 @catmandoo Are you familiar with user-generated content for video games and how the monetization business model works for those games? Like Dota 2 and Team Fortress 2, for instance? Looks nice. Good luck to all the people who will participate! 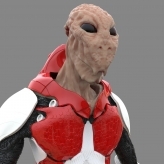 concept artist here, had experience on designing warframe helmets,looking a 3D artist to work with. ...mind integration succes... new world accepted... mind connected..
Let's modeeeeeel, love the game, it'll be great to make some stuff for it. I would love to participate with another modeler or concept artist in this contest. Please PM me if anyone is interested. 3D Art is life and I'm always looking to improve my skills and improve myself.